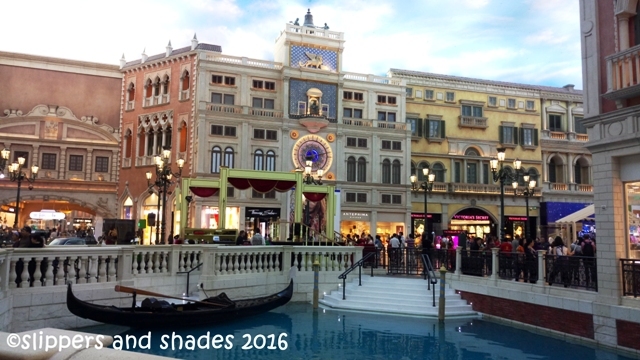 I will not leave Macau without visiting its grand casinos which make the city famous for. 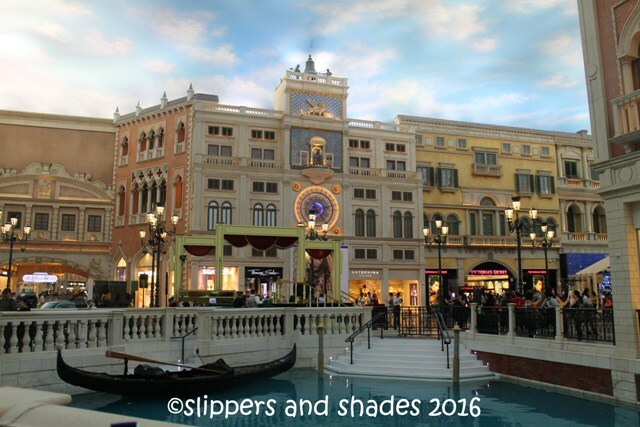 After a hefty lunch with Day Leen, Jelo, Kimmie in a restaurant near Real Casino Hotel, we boarded free shuttle service going to Venetian Macau in Cotai Strip. This is the first casino in my bucket list to visit. 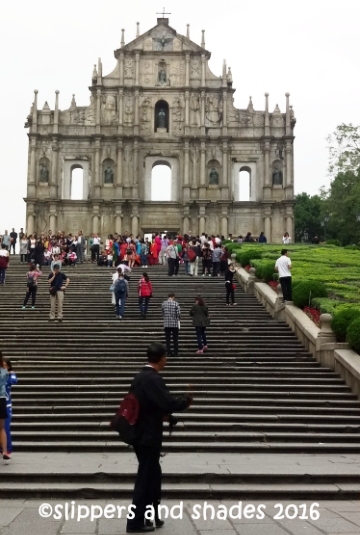 Surprisingly, after all the walking from Senado Square down to Golden Lotus Square, we were all still giddy with excitement to proceed to the last leg of our Macau tour. There was something magical about Macau as we explore more the narrow alleys coming from Senado Square and St. Dominic’s Church. The business center was a busy place. We passed by lanes of food stalls, souvenir shops and fashion boutiques. Finally, we caught glimpse of the imposing facade of Ruins of St. Paul’s perched on top of a hill. We encountered difficulty in bus hopping due to Macau’s Grand Prix being held from November 17 to 20, 2016. But it didn’t dampen my excitement because my new travel buddies, Day Leen, Jelo and Kimmie were all persistent to go places despite the situation. 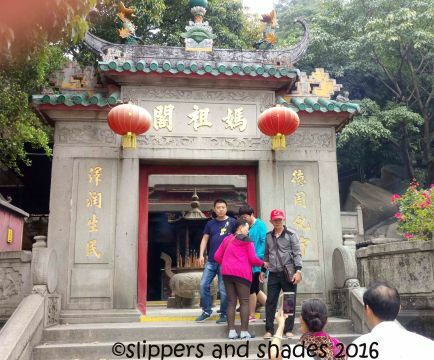 Coming from Ruins of St. Paul’s, we boarded Bus 10A going to A-Ma Temple. From the bus stop, there was a signage pointing the direction to the temple. It was indeed easy to find.